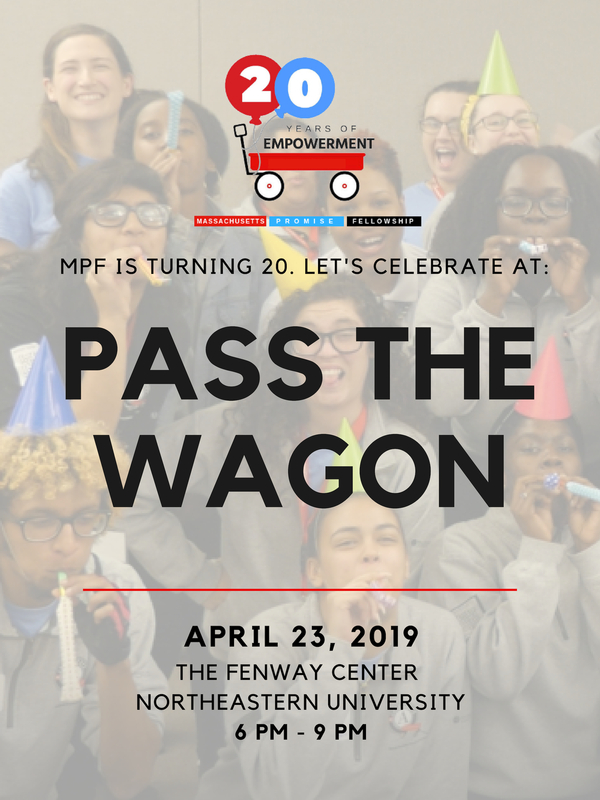 TUESDAY, APRIL 23, 2019, 6:00 - 9:00 P.M.
Join MPF for our 20th birthday party celebrating two decades of hard work and dedication to young people in the Commonwealth of Massachusetts. Join us for delicious food, live music, raffle prizes, and a network of amazing friends! This event will top off with a word from our Red Wagon honoree. Tickets: $40 each ($35 is tax deductible); Recent Grads (MPF Alumni who graduated between 2013-2018): $40 (includes free raffle ticket; $30 is tax deductible); Group Tickets $120 for 4 tickets ($100 is tax deductible).